Have I ever mentioned how much I love Vietnamese food? Growing up in Sydney's inner west meant that I didn't have to venture too far to get my fix in downtown Marrickville. 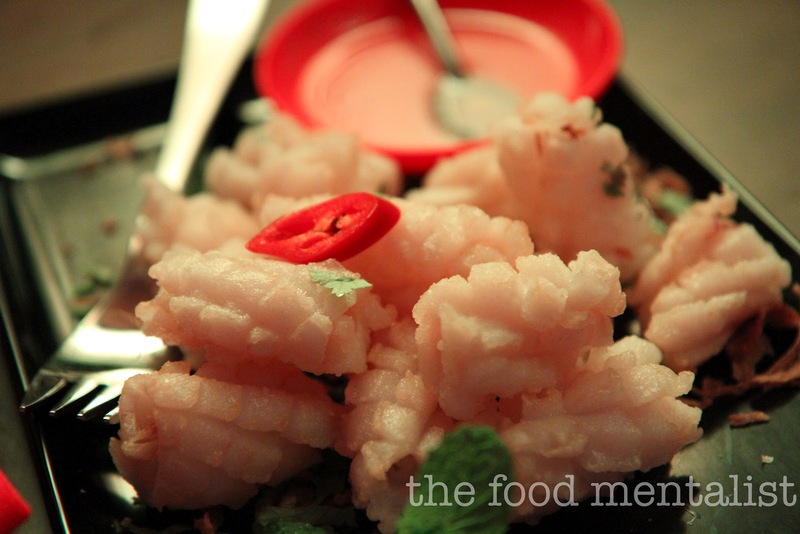 Bay Tinh was, and still remains a family favourite of ours. The famous bonfire dish which cooks at your table, a firm favourite amongst my family & friends. There was even the time years ago when my Aunt Kim tried to blow out the flame and accidentally set the table cloth on fire. It was quickly put out and no damage was done. We look back now in hysterics. 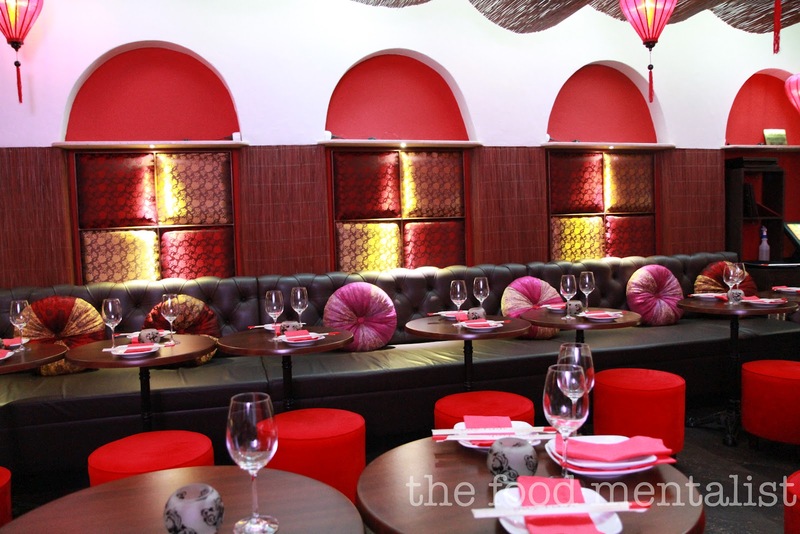 Bay Tinh is named after Mr Tinh Tran, the original founder. The word 'Bay' refers to the fact that Tihn was the sixth child in the family. In 2007, after 20 years of running Bay Tinh, Mr Tran retired, handing over to Harry Hoang. Harry entered Australia as a Vietnamese refugee and after a successful career in IT and real estate decided his love of food was too great and he moved across into hospitality. Harry's mother comes from a family who have successfully operated a number of restaurants and hotels for over two generations. Since taking over, Harry has mastered the original recipes created by Mr Tran as well as added a new dimension to the menu. Whilst Bay Tinh in Marrickville still remains, tonight we head to Harry's newest venture just over the bridge - Bay Tinh on Falcon Street in Crows Nest. We are particularly excited tonight as we are about to sample dishes from Bay Tinh's new Vapas menu - Sydney's first Vietnamese Tapas. We are really looking forward to the new experience. We arrive for our 7pm reservation and the front of the restaurant is already full. We head to the back section of the restaurant which is reserved for larger groups and 'Vapas' diners. Pete orders a '333' Vietnamese beer and I choose my favourite fresh lemon juice and soda water ($4). Tangy lemon with just the right amount of sweetness and garnished with mint, sure to quench any thirst. 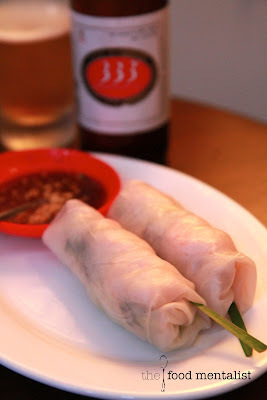 The Goi Cuon (prawn rolls) arrive first and they are fresh, fragrant and delicious. Filled with king prawns, herbs, pickles, lettuce & vermicelli noodles, they are served with Bay Tinh's special sauce - we taste hoisin, peanuts and a hint of chilli. Shortly after, our crispy pancake arrives and our waiter slices it up for us and serves us a piece. It is jammed packed with bean shoots and tender pieces of pork and prawn and is served with a light sweet sauce which we spoon over. Fresh and crunchy bean shoots appear to dominate this dish and perhaps it could have done with just a few less. When our pork skewers arrive we are both somewhat surprised. 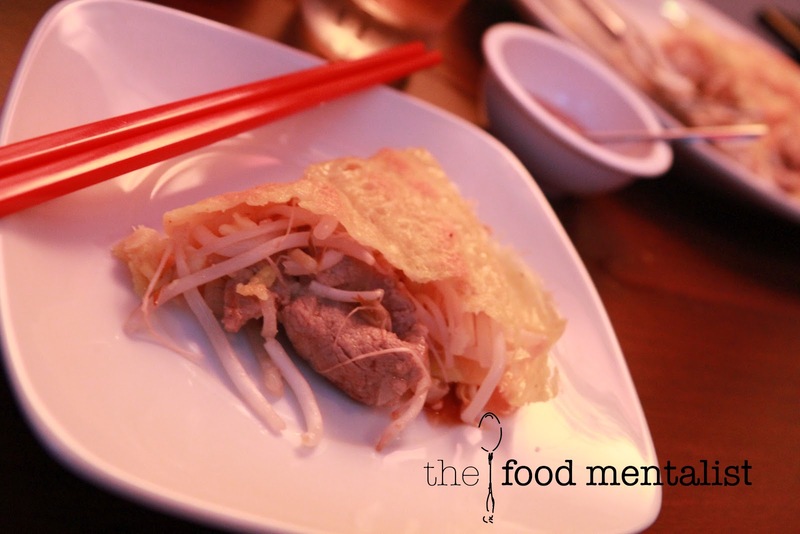 Served sans skewer, we are greeted with thin tender pieces of tasty pork on a bed of lettuce, rice vermicelli noodles and pickles. 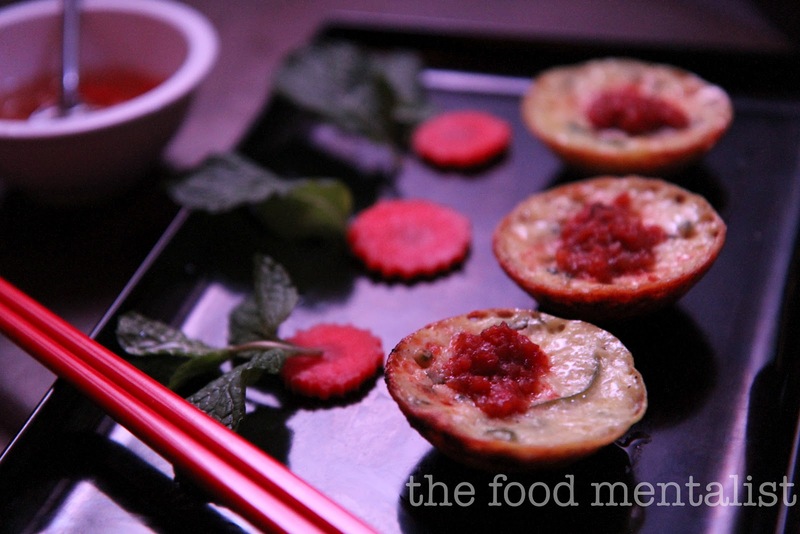 They are topped with fresh mint and nuts and served with a delicious peanut satay style sauce. The pork flavour is perfectly balanced by the addition of the other elements. These are incredibly moreish and we could easily eat several more. This would have to be our favourite dish of the evening. Harry tells us that these delightful morsels are a secret family recipe that you don't often see on many Vietnamese restaurant menus because they are so labour intensive, each one taking 20-30 minutes to make. The outside is a crispy shell made with rice flour and it is filled with a coconut milk custard and prawn meat combination which just melts in your mouth. 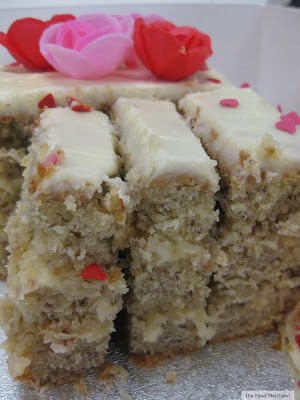 The velvety texture of these tasty treats is unique and we both really savour these. The menu claims that this salt & pepper calamari is arguably the best in Sydney. Incredibly light, tender and perfectly seasoned I have to agree that it is pretty good and if not the best, it would have to be close. It is served with a salty lemon pepper sauce on the side. Harry tells us they choose only the freshest and best quality calamari for this dish and they even do a gluten free version on request. The soft shell crab is lightly seasoned and crisp and is served with the same salty lemon pepper sauce served with the calamari. Die hard soft shell crab fans will love this, but given a choice between the squid or the crab I would have to choose the squid. When our bonfire arrives we are careful not to blow the flame out, Aunt Kim style. 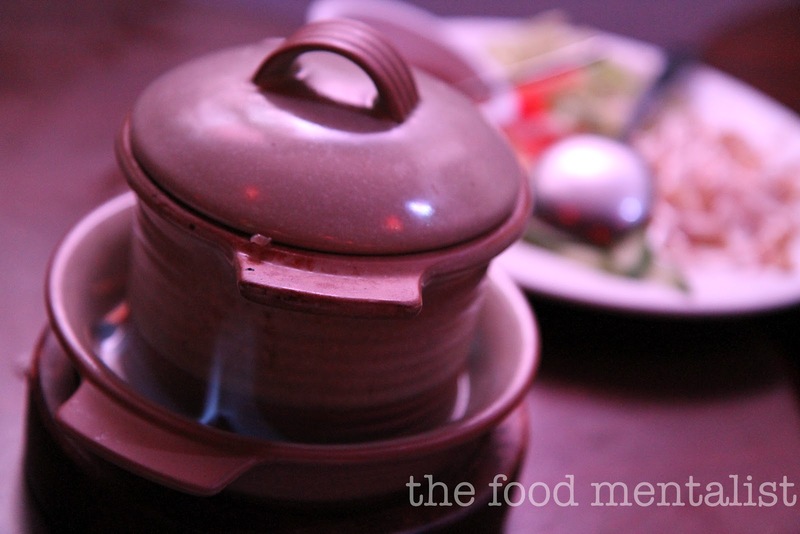 This cute mini bonfire dish which cooks at our table is filled with king prawns, thinly sliced beef and onions and served with rice paper, fresh and pickled vegetables, herbs and a delicious anchovy sauce. We ask Harry about the sauce and whilst he confirms the inclusion of anchovy, he cheekily tells us it is a secret recipe and no more can be revealed. 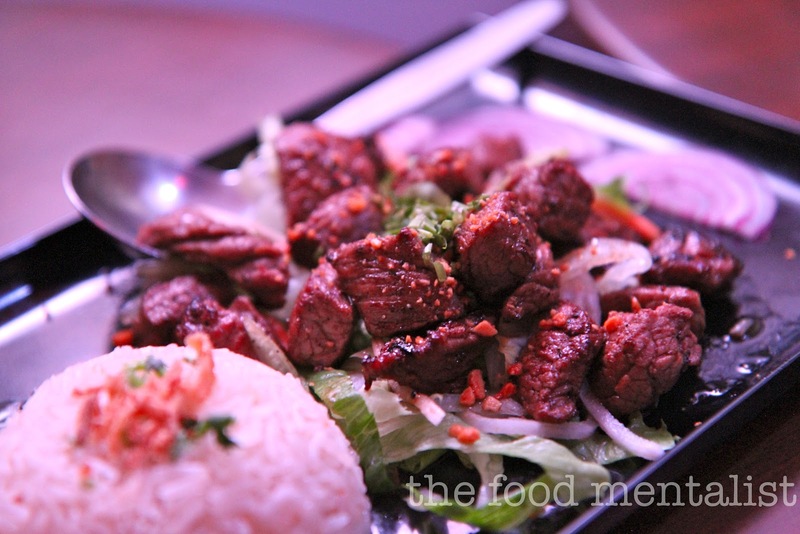 The bonfire is a Bay Tinh speciality dish and there are several to choose from on both the Vapas and main menus. Bringing a sense of fun to Vietnamese dining, this do-it-yourself dish is very popular with the large groups sitting around us. We watch as a steady procession of them make their way from the kitchen onto neighbouring tables. Harry is a wonderful host, we watch as he greets new diners and chats to many more. It is evident that many are regulars - a good sign! Our final dish consists of marinated cubes of grain fed beef which sit on top a light salad of bean shoots and lettuce. The beef is accompanied by fluffy garlic rice and a side of lemon pepper sauce. The beef is extremely tender and Harry tells us that the beef is prepared using 100% natural flavours and marinades. We really enjoy this dish and decide it is a future must have! 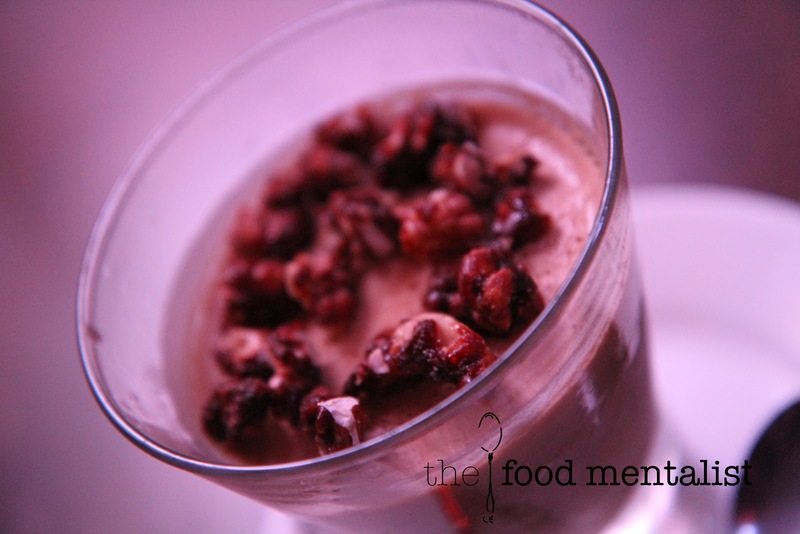 This photo doesn't do justice to this delicious rum espresso parfait adorned with caramelised walnuts. The sweet creamy coffee ice cream has just the right amount of sweetness and a hint of rum. It is the perfect finale to a satisfying feast. Yum! Harry tells us he has big plans for his newest venture and is currently in the process of transforming the front of his Crows Nest restaurant into a cocktail bar and tapas style lounge where diners can enjoy Vietnamese tapas style share dishes with matching wine and Vietnamese inspired cocktails. Harry also informs us he has updated Bay Tinh's menu to include a greater French influence. Bay Tinh, Crows Nest is licensed and we are very impressed with the selection of wines which included many French, Australian & New Zealand choices, all at very reasonable prices. 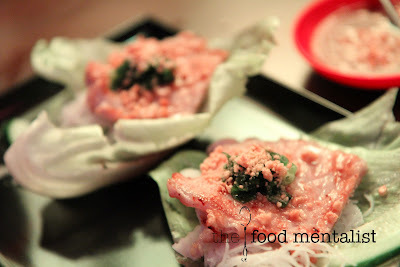 Tell me, do you enjoy Vietnamese cuisine? What do you think about the idea of Vapas? The Food Mentalist & Pete dined as guests of Bay Tinh & Wasamedia. The bonfire prawns and beef sound like an interesting dish. Vapas could be exciting since there are lots of Vietnamese little snacks like deep fried pork and wraps that can be served in small tasting portions. Gotta watch out for that Auntie Kim. :) I Lolled. Love the vapas idea and your photos make me hungry. the rice cakes look so cute! Looks like a great place - I love anything that comes with salty lemon pepper sauce...yum! And snaps for not setting the tablecloth on fire...LOL. al the food looks beautiful and delicious I would love to go! did the banh xeo have shallows? Those rice cakes sound incredible! I'm loving the idea of Vietnamese tapas. Great post! Lorraine, I totally agree - they were delicious! Dolly, I cant remember them. 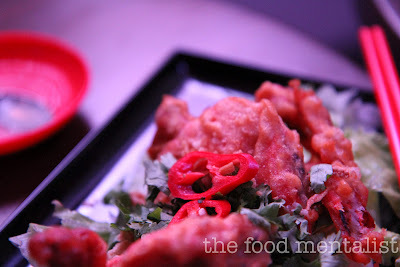 The salt and pepper calamari does look so light in the coating and really gorgeously done.